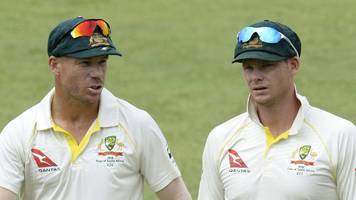 Steve Smith and David Warner are named in Australia's World Cup squad after serving year-long bans for ball-tampering. Take a look at 22 of Lopez's most unforgettable body moments. Bayern Munich Ladies players Lina Magull and Jovana Damnjanović take on Timbsy in some shooting challenges in the latest episode of Timbsy vs The World. 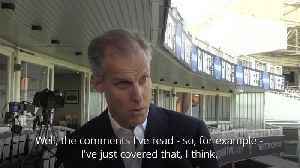 How will Timbsy fare against Champions League..
England's chief national cricket selector Ed Smith deflects speculation about Chris Woakes's recent comments regarding the possible inclusion of Jofra Archer in their 2019 World Cup squad. Ambati Rayudu's Omission from India's 15 Member Squad for the ICC World Cup 2019 has raised many eyebrows. 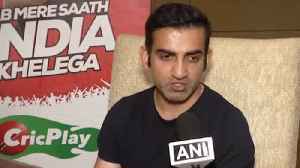 Former Indian Cricketer Gautam Gambhir termed Ambati Rayudu's exclusion from World Cup squad.. Picked in the 15-man World Cup squad ahead of Rishabh Pant, stumper-batsman Dinesh Karthik said that it was a dream come true to be part of India's World Cup team. 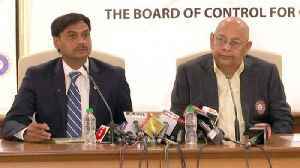 Board of Control for Cricket in India ( BCCI ) acting secretary Amitabh Chaudhary announced the 15 Member Squad from Indian Cricket Team ahead of World Cup 2019. 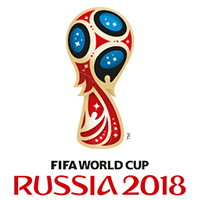 The Indian team for World Cup..
Dinesh Karthik's versatility should get him a berth in the World Cup squad, feels Kolkata Knight Riders' (KKR) mentor Abhishek Nayar just four days ahead of the India's team selection. 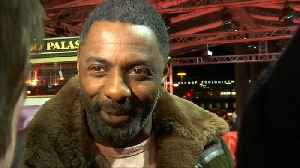 Idris Elba will reportedly no longer be replacing Will Smith as Deadshot in the Suicide Squad sequel and will instead play an entirely different character. A prefecture famous for its hot springs, Oita will welcome the Rugby World Cup later this year, when Oita city hosts five games and neighbouring Beppu plays host to New Zealand, Australia, Canada and..
A fixture in the England squad in recent seasons, Kyle Sinckler reflects on his development from the third tier of English rugby to becoming a Lions tourist in New Zealand. Can he help England compete.. The players completed their remarkable comeback from the ball-tampering scandal. Steve Smith and David Warner will both feature in Australia's World Cup squad when it is named on Monday, with the biggest questions surrounding the bowlers. Usman Khawaja and Shaun Marsh have been included in the squad, which is a reward for their good form in the recent games. Ben Stokes believes fellow all-rounder Jofra Archer has a strong chance of being included in England's World Cup squad.